Five high school seniors celebrate dancing for years with Ballet Forest Grove with their upcoming annual production. For more than a decade, Ballet Forest Grove's annual production of "The Nutcracker" has been drawing big crowds, showcasing the talents of local dancers. Now in its 12th year, the show is saying goodbye to five high school seniors, who have performed the holiday favorite in Forest Grove for nearly half their lives. "The Nutcracker" returns with performances Saturday, Dec. 8, and Sunday, Dec. 9, at Forest Grove High School, 1401 Nichols Lane. Glencoe High School seniors Alexy Kennedy, 18, and Kayla Brown, 17, will alternate performances as the Sugar Plum Fairy in this year's production. Fellow Glencoe seniors Kylee Bryant, 17, and Sydney Coppedge, 18, play the Arabian Princess and Queen of Sweets. Forest Grove resident Carmen Bruno, 17, performs as the King Mouse. The five have been rehearsing for "The Nutcracker" since early September, but the dance is nothing new for them. 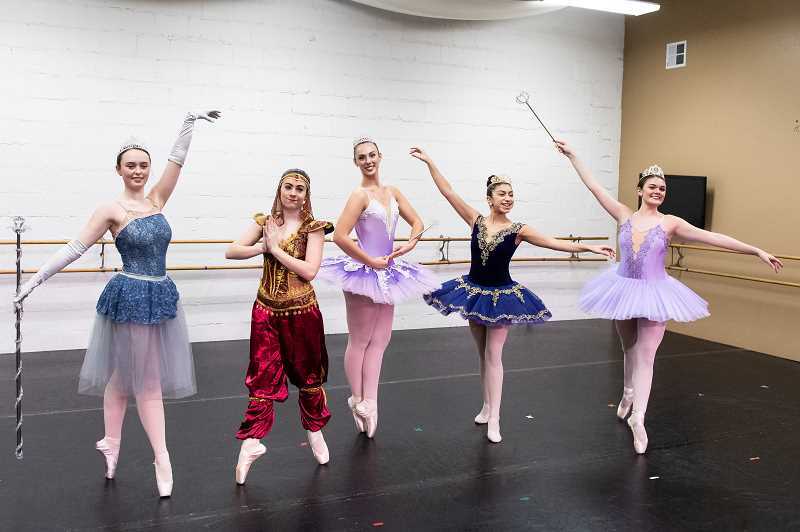 These dancers have been performing in Forest Grove's production of "The Nutcracker" since they were old enough to slip on their ballet shoes. "'The Nutcracker' is my favorite thing about December," Brown said. "It is my favorite performance of the year and it is just so magical to see our hours and hours of practice on stage with our costumes and in all the lights." Over the years, the ballet company has become a second-family to the dancers, they said, and the organization's artistic director, Patty Petersen is like a mother to them. "You are sharing this passion with people you love," Coppedge said. "You see them every single day. You are all trying your best; you are all trying to get somewhere." The Nutcracker started in Forest Grove in 2007 and performed at Pacific University, but quickly outgrew the space. Today, the show sells more than 3,000 tickets each year, with performances at Forest Grove High School's Ellen Stevens Auditorium. "When you walk off stage and feel good, it is the best feeling ever," Brown said. "I almost cry when there is an outstanding ovation from the crowd." It's not unusual for performances to sell out, Petersen said. "It is fun to hear you are dancing to a sold-out show, it is more exciting," Kennedy said. "It gives me goosebumps thinking about it." After years of performances, taking the stage in front of a crowded room comes second nature to the dancers of "The Nutcracker," the seniors said. "When I was younger, I was always so scared, but I look at it now, it is comforting now," Bruno said. "I'd rather be on stage than nervous to go on." "The Nutcracker," has been a popular holiday tradition with ballets across the globe for generations. Set at Christmastime, the ballet tells the story of a family and a young girl who dreams her toy comes to life amongst a cast of characters. 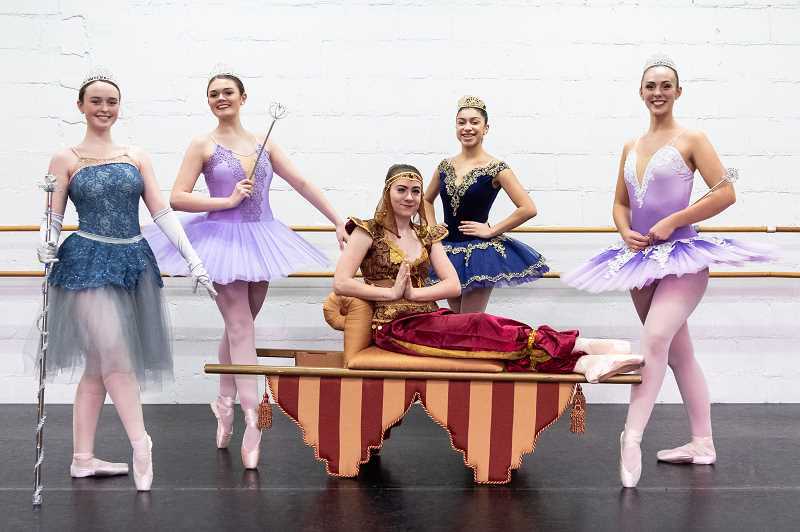 "(With) this 'Nutcracker,' the students will always be the stars," Petersen said. "I do everything I possibly can that they walk out of there that they feel they are stars. The whole purpose of Ballet Forest Grove is that these are the people they come to see." 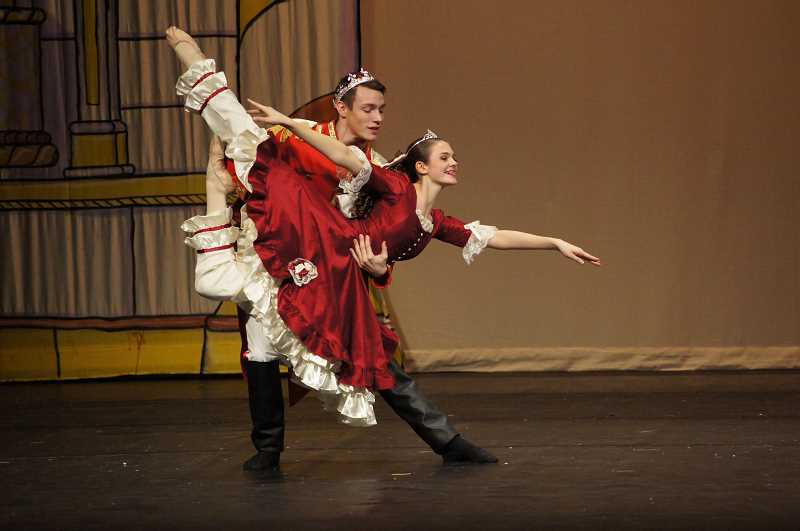 Ballet Forest Grove's "The Nutcracker" is set apart from productions of the traditional performance, the five seniors agreed. Ballet Forest Grove is a nonprofit, and provides the costumes to dancers free of charge. "It is so magical. It is Christmas," Kennedy said. "It is a part of the holidays. It is such a (great) feeling." More than 250 dancers from the Forest Grove studio dance in the four performances each year, with a wide age range, some as young as toddlers. "You'd think you would get tired of it year after year, but you don't," Coppedge said. It takes about 80 backstage volunteers to run the show. These "dance moms" are vital to the success of the show, the dancers said. "The moms are there for us," Bruno said. The choreography and costumes change every year, Petersen said, creating tiny surprises for reoccurring audiences. "Ballets are so big and so involved," Petersen said. "There are very intense props and sets, we have repeated our spring shows and I think that is why we can make 'The Nutcracker' so extravagant, building on it every year and constantly changing it. We aren't changing the storyline, but small changes here and there. I love it when the audience comes up to me and say they notice them." The part of the show the dancers said the audience will enjoy the most is the section of the dance called "Snow." More than 60 pounds of artificial snow are used each year for Ballet Forest Grove's production, which falls from the ceiling during this portion of the dance right before intermission. "There is forever snow in the costumes," Kennedy said. "You'll shake your costume or touch your hair and the snow falls out." Watching the five seniors grow up has been irreplaceable, Petersen said. "I am so blessed to have that seed I got to plant in them," Petersen said. "They are going to grow up and they are all smart girls. They are driven." Many of the dancers help Petersen out with instructing classes to teach lower levels of dance, she said. "It is so hard when they leave, but they always come back," Petersen said. Long after they graduate high school, the five seniors each say want to involve dance in their lives, one way or another. Kennedy plans to attend college on the East Coast or at Oregon State University. Brown will attend Brigham Young University's dance education program, while Bryant would like to become a Disney performer. Bruno was recently accepted to Pacific University and Coppedge wants to dance in her free time while attending a school like University of Portland. "We have given up so many hours for our love of dance," Kennedy said. "It is hard for me to imagine not having dance in our lives." To see the Ballet Forest Grove dancers pirouette their way through a classic, tickets can be purchased at balletfg.org or bought at the door the day of the show.